Digital era profoundly changed how we work. More and more, we see our beds and coffee shops replacing traditional office. And we can officially say that 9 to 5 workdays are over. In fact, Global Workplace Analytics and FlexJobs revealed that 3.9 million workers worked from home at least half the time in 2015 alone, and the number only went up since then. Companies around the world realised long ago they should put their efforts in retaining good workers. And you guess – placing value in the job that gets to be done compared to counting the sole hours is one way to do it. On top of that, it seems like the remote workers are happier than the ones working in the office! However, remote work is not always about flowers and rainbows. To make it work, you actually need to put a lot of effort. There’s some extra pressure on the managers of the remote teams to make it work spotless; however, nothing is impossible. One obstacle when it comes to remote workers is definitely tracking their time and engagement put into the project. And this is when we should talk about time off tracker. 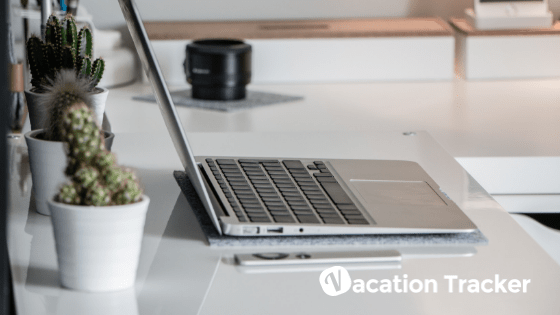 In this article, we’re going to give you all the know-how on why every remote team needs time off tracker. So, let’s go! Tracking time off is not about employee controlling. It actually builds trust and enables you to be more productive and focused. And when it comes to pure work alone, it’s important to know when each team member is available for the sheer sake of synchronisation. We’re already using various apps for improving our remote work experience and managing remote teams. So, why don’t you give a chance to time off tracker? Once you see it running, you will realise it’s one of the most essential tools for any remote workers. So, what do we need to say to defend the use of time off tracker? One, among many, reasons why you should consider implementing time off tracker for your remote workers is straightening the accountability. Some people are led by the motto „out of sight, out of mind“ and think they can use the remote work as a way to get more paid days off then they have. So, beware! If you’re still not tracking their time off, they might be tempted to bypass the system. However, if they know HR is carefully tracking how much day offs they took, they will be more motivated to play by the rules. It’s easy to track your workers when you pay them by hour. They just get the money for the time they worked. However, employees tend to micromanage salaried workers who’re working remotely. We can all agree it’s not comfortable to have someone continually breathing behind your neck, and that’s where time off tracker can help. When you have the precise insight in the time off, you’re employees took, and when you’re able to track their time efficiently, you will feel some liberated in the work space. All that means greater engagement and boost in productivity and ultimately, more money to the company. We all know some workaholics. Maybe we are ones. But even if you have the coolest job in the world it’s essential to remember taking some time off is good for you. Actually, it’s crucial to take regular vacations from work to keep the quality of your work in check. On the other hand, some people are constantly searching for ways to take some days off. And this can turn into a severe problem if you don’t have a proper time off tracking mechanism. 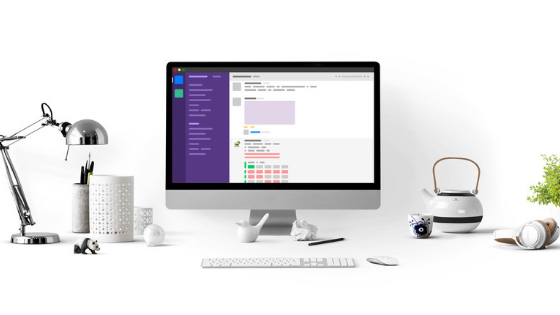 Time off tracker is especially essential for the remote workers because it enables the team to have an appropriate insight into each team member’s days off. Everyone should be able to take some day off, and that right should be spread equally. Did it ever happen to you that you were the only one left in at work to do the job because there was a problem with scheduling vacations? Those situations in which you’re left to pick up the pieces from bad HR practices or simple mistakes would be the things of the past with time off tracker! With a clear picture on time off request from any team member, it will be easier to prevent those mistakes and the time for approving them (or denying them) would be significantly decreased. We’ve talked about burnout on several occasions. And that proves that we take this topic seriously. And so should you! 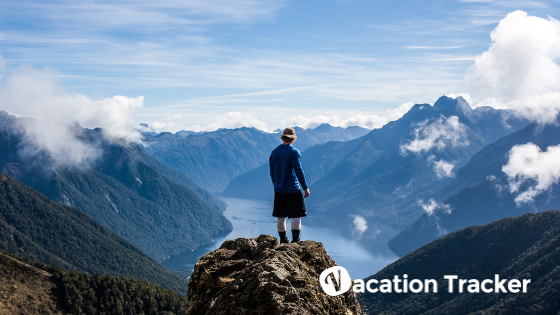 If you’re having a hard time believing us, just take a look at the reasons why taking time off is right for you! By implementing a time off tracker, you will make sure your employees took some time off from work and that they’re not overworking themselves. This is especially important for remote workers because working from home can leave the impression of not actually working. Make sure everyone in the team gets to use their full potential and make sure they’ve taken some time off! When you’re working remotely, you don’t get to see your coworkers. That’s why sometimes you can feel as if you’re doing everything alone. 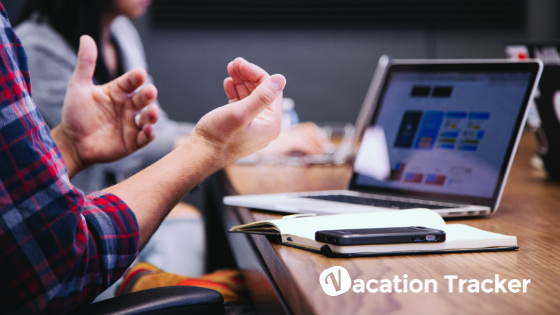 However, when you have a bright and clean mechanism for tracking time off, you will be able to get the proper insight into your team’s days off and determine whether you should go on a vacation as soon as possible or not. We’ve talked a lot about unlimited PTO policy. In short, it’s the possibility to take as much time off as you need as long as you make sure your job gets to be done. And that goes for the remote workers too! But, what was the unexpected problem with this policy is that people actually end up taking less time off then they should. Instead of abandoning this revolutionary idea just try to add to it time off tracker. In the end, if companies like Netflix and Crowdflower made it work, you will too! Just make sure you have enough tools and resources to do so! We’re ready to come clean and say that remote work is fantastic. In fact, it reduces the sick leave abuse because you’re able to take some time off and do errands you wouldn’t be able to do in the traditional workspace. We’re more productive when we work from home, because there are fewer things to distract us. And, once we get the opportunity to work remotely, our engagement at work rises because we’re aware of the privilege we have. Some people would say the remote work is the future of work, and we couldn’t agree more. Because all of that we are eager to make it work. And time off tracker is something that can help us achieve it. Don’t be afraid to try it out! We’re quite sure you won’t lose anything. In fact, you can only benefit from it.